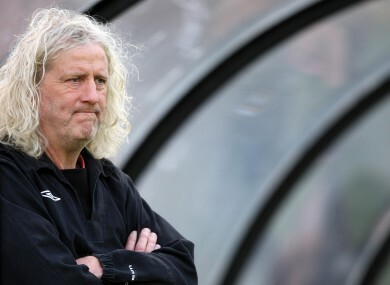 BUILDER MICK WALLACE IS among a number of independent candidates that are set to win seats in the next Dáil when the country goes to the polls next Friday. A virtual poll being run on Boards.ie since February 4, has accrued nearly 14,000 votes with members of the site ranking candidates in their constituency in order of preference, the same as on a ballot paper. So far it shows that independent candidates are set to make big gains at the general election. Wallace, a political activist whose construction company has gained prominence from displaying his political views on its hoardings, tops the poll with a 30.4 per cent share of the vote in the five-seat Wexford constituency. Two independents could be elected in Dublin South-East with entrepreneur Dylan Haskins currently topping the poll there with an 18.7 per cent share of the vote. Markets analyst and economic commentator Paul Somerville could also be elected in the constituency, he is currently on 17.9 per cent. Luke Ming Flanagan, a social campaigner, could be elected in Roscommon South Leitrim where he holds a massive 45 per cent of the vote, well ahead of anyone else in the poll. Thomas Pringle could be elected in Donegal South-West where he is currently polling second behind Sinn Féin’s Pearse Doherty. Elsewhere, David McCarthy, an independent in Micheál Martin’s constituency of Cork South-Central, is currently polling above the Fianna Fail leader with both set to take two of the five seats in the constituency. In Dublin South, independent senator and business editor of the Sunday Independent, Shane Ross is leading the poll with 30.5 per cent of the vote so far. This morning, the Green Party warned that if independents held the balance of power in government, the country’s economic recovery would be hampered. It would be a terrible shame if the Government were at the mercy of individuals who have an extreme right-wing or an extreme left-wing agenda. Boards.ie is part of the Distilled Media Group.Journal Media Ltd has shareholders – Brian and Eamonn Fallon – in common with Distilled Media Group. Email “Mick Wallace among high profile independents set to do well at election”. Feedback on “Mick Wallace among high profile independents set to do well at election”.